At the time of this writing, Malaysia Airlines Flight 370, transporting 227 passengers and 12 crew members from Kuala Lumpur to Beijing, has been missing for months. An unprecedented international search was unable to locate any bodies or debris. 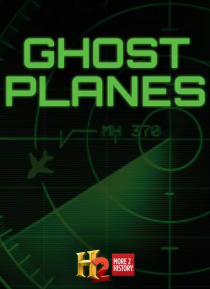 According to the Aviation Society Network, more than 80 aircrafts have been declared "missing" since 1948--"Ghost Planes" that have literally vanished wi… thout a trace.